Some clients like the idea of being able to revoke anything in their estate plans and revocable living trusts have become an important, if underutilized, estate planning option which provides that ability to make changes. It’s most obvious benefit is it allows your heirs to bypass probate, but there are many reasons for choosing this tool. First, let’s take a look at what a revocable living trust is. It’s a legal document that allows you to name someone to manage your property while you’re still living. There are three people involved in a trust with these dynamics. You, who fills the role as the creator of the trust, the trustee, named by you to manage the assets according to your stipulations and your beneficiaries, who receive the assets in the trust as part of their inheritance. Many clients ask why a trust like this is necessary if they’re still living. The most often cited reason is that it allows the client to avoid probate. It also is ideal for managing assets, such as property, for any minor children you wish to cover and it’s perfect for reducing estate taxes. Provided you remain the grantor (the one who creates the trust), you maintain control of all of your assets in that trust; you will still report income on your personal tax returns. If you’re married, a trust can serve as an invaluable tax planning tool. Your revocable living trust can put into place a shelter after your death so that your surviving spouse can incorporate the estate tax exemption for both of you – which, of course, doubles the amount that’s safe from taxes. A living trust also ensures that both your assets and your heirs are protected should you become incapacitated and no longer able to maintain your financial affairs. They’re versatile in that you can stipulate when the assets are to be distributed after your death. For instance, you can earmark some assets to be released on your daughter’s 21st birthday or your grandson’s graduation from college or high school. Our team of estate planning lawyers can also ensure you’re taking advantage of every tax and savings vehicle available to you. If there’s any downfall to the revocable living trust is that it doesn’t substitute as a no-contest clause should an heir who is displeased with his inheritance decide to appeal. In those instances, we can help put together a no contest clause that can be used in tandem with your other estate planning documents for a complete estate planning effort that’s free of vulnerabilities and with plenty of protections for you and your family. Remember, both a revocable living trust and a will memorialize your wishes and final instructions, but each person’s needs are different, so it’s important to meet with a qualified attorney so that you can move forward with confidence. 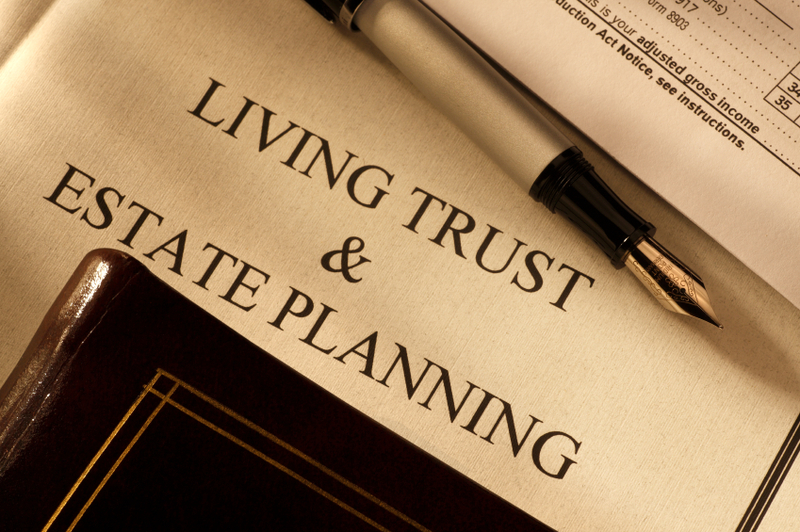 Want to learn more about any of the estate planning tools available to you? Give us a call today to explore those options and then decide the best options for you and your estate.